“I had to pinch myself a few times looking around and going, it’s just amazing because they’re here for us” – Abbey Holmes. To say the inaugural NAB AFL Women’s Competition was been a success would simply be an understatement. 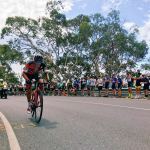 The eight-team league exceeded all expectations as it captured the heart and imagination of people of all ages Australia-wide. From their infectious enthusiasm to their dedication and never-say-die attitude, these women are true pioneers for not only females in football but for women in sport. Abbey Holmes grew up in a typical footy-loving household, and like so many girls she pursued netball as a passion. Following a move to Darwin, the 27-year-old took up Aussie rules in the Northern Territory Football League (NTFL) where she quickly found her calling becoming the first woman to kick 100 goals in a season. 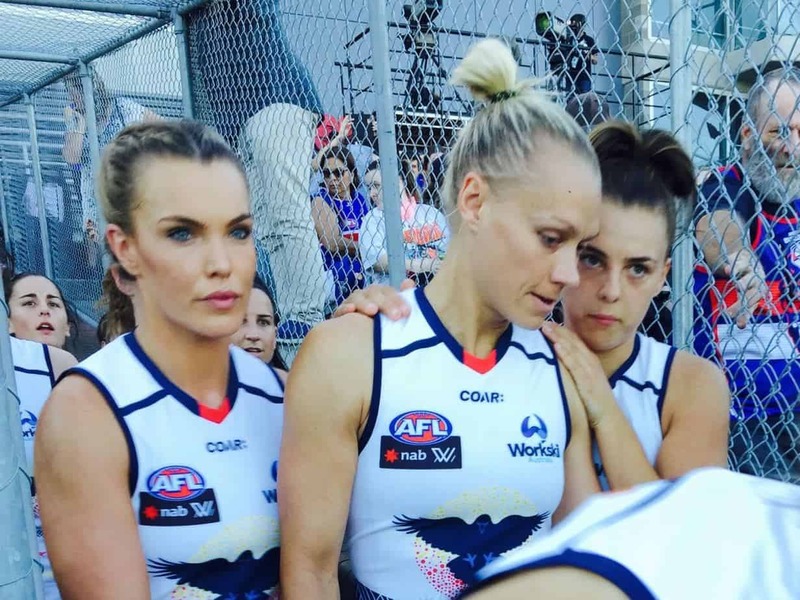 It was a ‘dream come true’ for the footy fanatic when her name was read out by the Adelaide Crows, the team she grew up supporting, in the first AFL Women’s Draft. Abbey bides her time between Adelaide and Melbourne, working as a boundary rider for Channel 7’s VFL coverage and on radio for CrocMedia. I caught up with Abbey shortly after the completion of first AFLW season in 2017. How did you get into following and playing footy? I was always a netballer and was lucky enough to represent Australia at a junior level, then South Australia for about eight years before moving to the (Northern) Territory where I represented them for three years. It was actually through the girls that I played netball with up here that convinced me to go out and have a kick in the off-season because the seasons don’t conflict up here, so they essentially play netball for six months of the year and football for six months of the year. This is how I got involved in my first ever football competition, but I’ve always loved football, always been around it with my family being mad football nuts. I’ve just pursued netball instead because there was an elite level to aspire to get to whereas we never had that with footy. If we did have this level, the AFLW, while I was a young girl it would probably have been a different story. Being an Adelaide girl I’m a mad Crows supporter. 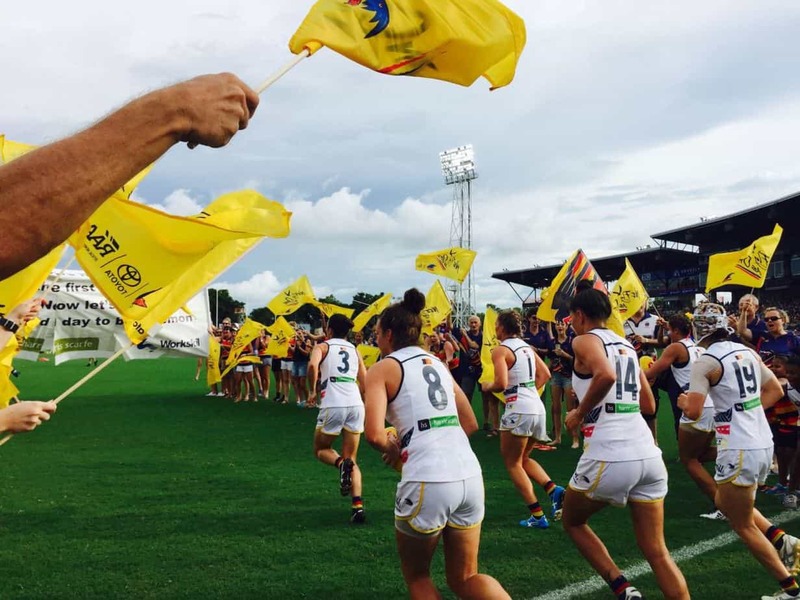 What does playing in the inaugural NAB AFL Women’s Competition mean to you? It means the world and this is a dream that I’ve had since I was a little girl, but I never thought it would be possible. There was never that level to aspire to get to so I always stuck with netball. It’s exactly the same for the other girls, basically every girl that’s involved with the AFLW, they never thought they would get that opportunity to be able to play AFL footy at the highest level, and that’s the best thing about this competition now and looking at these young girls that absolutely love it. 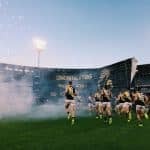 What’s been your best highlight to date as part of AFLW? Definitely round one. Playing in that history-making event, I suppose for the AFL and the Adelaide Crows, and being a part of history with them. Running out there on Thebarton Oval side by side with my teammates was definitely very surreal. We had about 10,000 or 9,500 there at Thebby that day and I had to pinch myself a few times looking around and going, it’s just amazing because they’re here for us. We’re not a curtain raiser to another game or anything like that we’re a standalone game and all these people are here to watch it. The support behind the AFLW has just been unreal. Obviously the girls still work full-time and have careers outside of football, so definitely juggling the hours as you go from a full-time job to training in the evening. It’s full-time working week hours to then jumping on a plane and heading down for your second job for the weekend. Juggling the work and footy balance is the hardest part for me. Looking ahead, what’s your next dream to chase? For me, football is my main priority now and I want to be able to play for as long as I possibly can with my body. In the future for me, in terms of a career, I’d love to work in football broadcasting. I went down to Melbourne last year and worked with channel 7 in the VFL as their boundary rider and have done a few presenting gigs around the place, so I definitely want to pursue a career in that space as well. But for me everything at the moment is hopefully on making history and becoming a premiership player with the Crows this year over the next couple of weeks. Other than that just being the best that I personally can as a player and as a person.